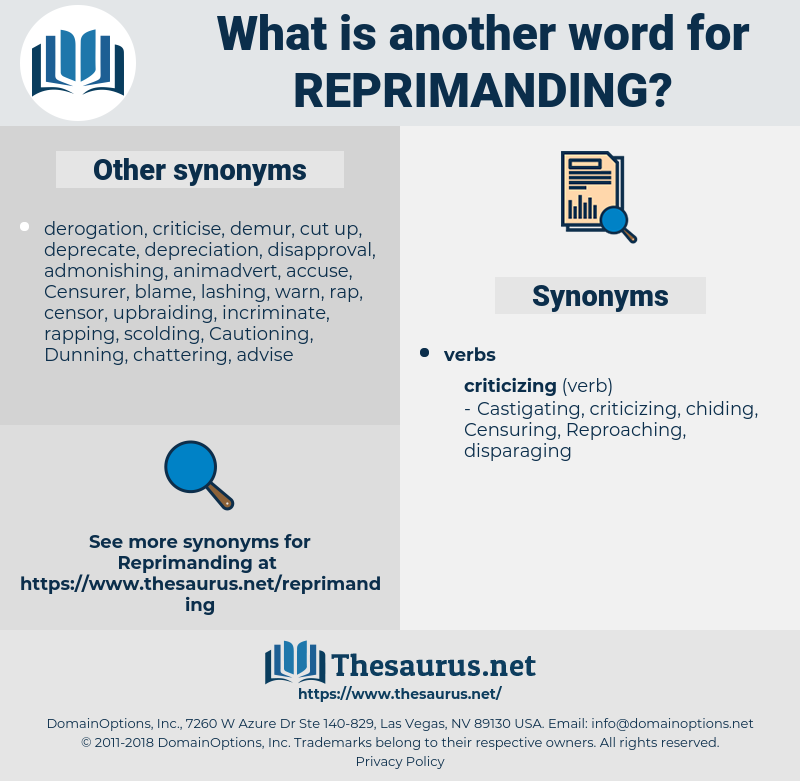 What is another word for Reprimanding? 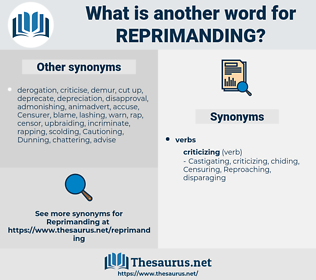 Repudiating, Remedying, criticizing, redressing, Blaming, Deploring, denounce, Denouncing, accusing, Renouncing, Rectifying, Correcting, Righting. reprint, re-formed, referent, reprehend, reverent, reverend, reformed, reprimanded, reform-minded.